If you follow me on instagram (@_SaraPags_) you probably might have noticed that I jammed your wall up with Paris snaps. Well, I went to that beautiful city about a week ago during spring break, which basically is Easter holidays. I had never been there before, and I totally fell in love with that place. Coolest buildings ever, nicest cafés, incredible sunsets. I've also been able to vlog the whole journey, which sounds so exciting to me since it's my first time. So, to sum up, Paris vlog and photo diary coming soon! Stay tuned if you don't wanna miss them. 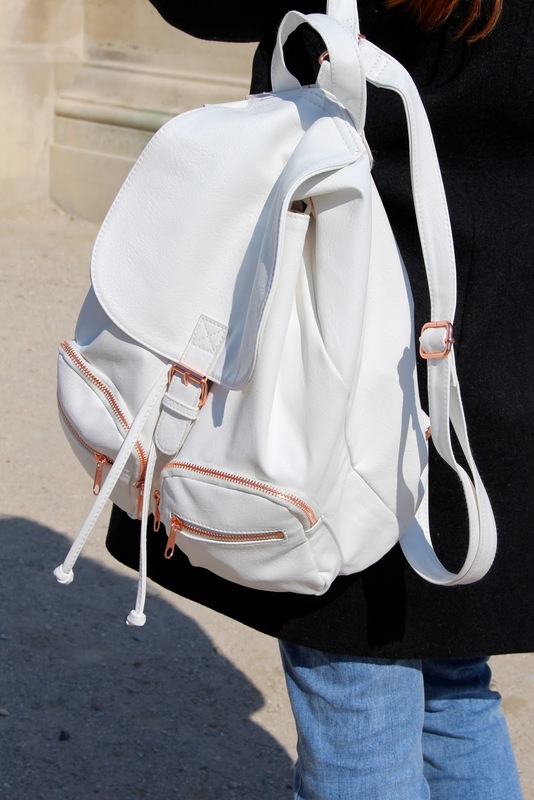 P. S. : How cool is that backpack? P.P.S. : What about that sweater? Freakin' love it. Such a simple chic outfit, definitely fit in- in Paris! Your always so lovely hun! Thank you so much, glad you like it!